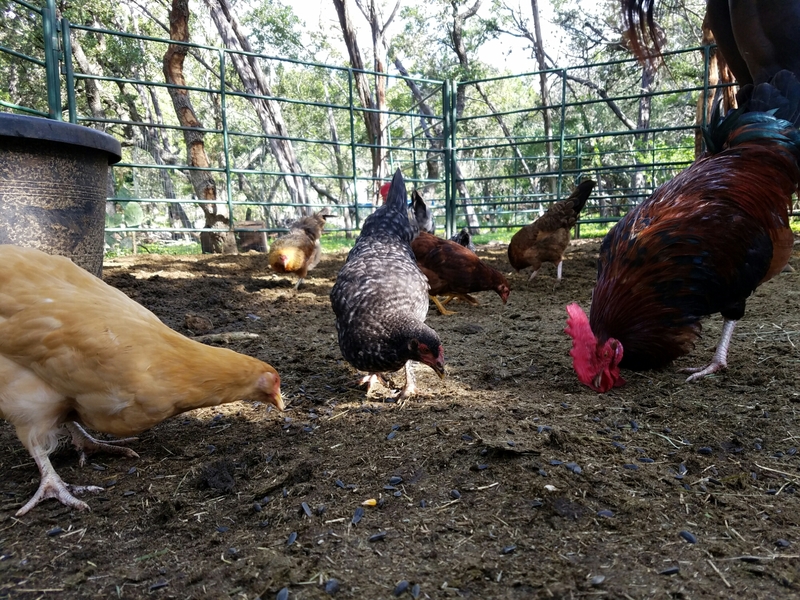 So i’m raising a new batch of females, and to get them used to processing the horse manure, I bring them around one of my trusted roosters and scatter black oil sunflower seeds on the pellets. Papa Rooster takes it from there. And as they grow into pullets, they’ll visit the horse areas on their own to forage for seeds and other tiny things to eat, like parasite eggs.